Channel 8 News Now Health. Learn how hyperbaric oxygen treatment helped someone with a stroke get back on their feet again. 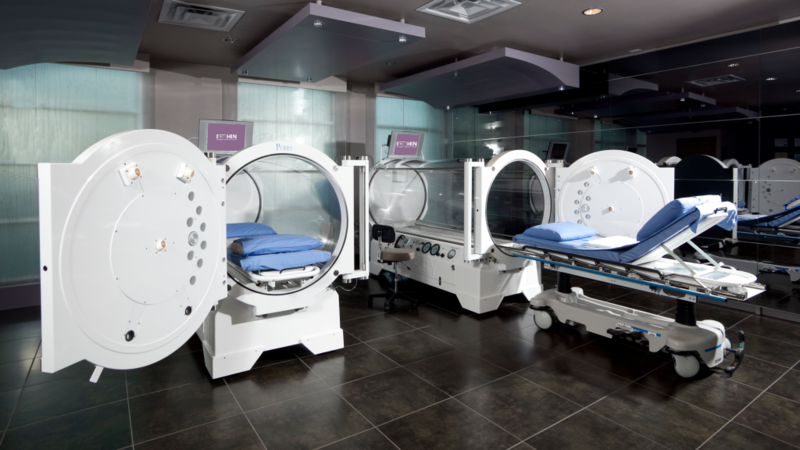 Hyperbaric Institute of Nevada Achieves Certified Rating ANDI and IBUM. Unwind in a Hyperbaric Chamber, 5 Over-the-Top Ways to Stay Healthy This Winter, Vegas Magazine, January 30, 2015. Number 7 “Hyperbaric Chamber”, Superbowl All-Natural Hangover Remedies, Recess Magazine, an online magazine written by women for Las Vegas women, February 2, 2014. Chambers of Oxygen, Stroke recovery story using hyperbaric therapy, Las Vegas’ Channel 8 News Now a special health report, May 19, 2010. The HIN logo includes symbols, words and letters that are associated with the Hyperbaric Institute of Nevada and the services provided. Use of this logo without prior notice, written consent and agreement is prohibited. Keep it clean by allowing enough “white space” around the logo so it appears uncluttered. Follow other terms and policies as noted in the consent and agreement. Don’t use the HIN logo in a way that implies endorsement or sponsorship when one doesn’t exist. Don’t change the coloring unless prior written approval has been received. Claim rights over the HIN brand whether by trademark registration, domain name registration or anything else.